Montana’s two U.S. senators are both calling for the release of Special Counsel Robert Mueller’s two-year investigation into the Trump campaign, though one of them is losing patience with Attorney General William Barr. Barr received the report last week but has not made it public. 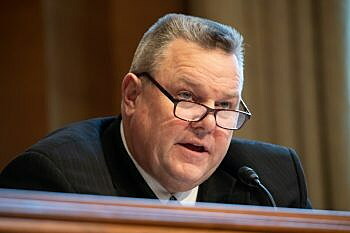 Sen. Jon Tester on Tuesday said Barr pledged to release the report during his nominating process before the Senate. Barr released a four-page summary of the report last week but has offered nothing more. Barr said the report cleared the Trump campaign of collusion with Russia and found insufficient evidence that the president committed obstruction of justice. Tester said a four-page memo isn’t good enough. On Tuesday, Democratic leaders in Congress also questioned Barr’s memo, saying his interpretation cannot be taken at face value, given his job to defend the president. Several Democratic chairmen sent Barr a letter demanding that the report be released next week. Others have said they will call on Barr and Mueller to testify before Congress. Trump has said he plans to appoint an investigation into the source that sparked the special counsel two years ago. Sen. Steve Daines issued a statement after Mueller released his report to the Attorney General. In it, Daines echoed what Barr said in his memo – that the special counsel found no evidence of conspiracy or collusion with Russia’s interference in the 2016 election. “I’m glad this investigation is concluded and look forward to having the report made public as (soon) as possible in accordance with the law and national security,” Daines stated.